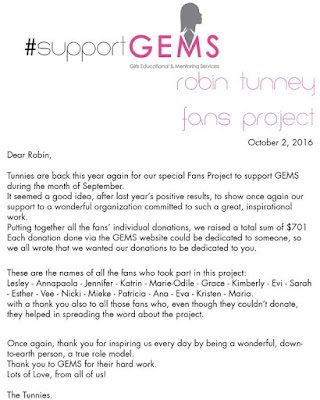 I'm very glad to write once again about the results of this year's fans project #supportGEMS in honor of Robin. 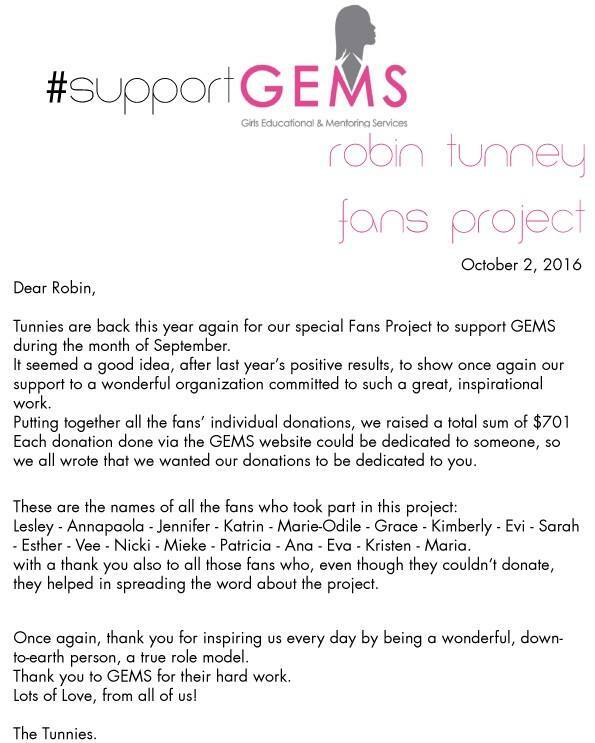 Thanks to the generous donations of the Tunnies who took part in it, we could collect $701 for GEMS. Thank you all once again, those who donated and those who supported this project!